Francine Falk-Allen was only three years old when she contracted polio and temporarily lost the ability to stand and walk. Here, she tells the story of how a toddler learned grown-up lessons too soon; a schoolgirl tried her best to be a “normie,” on into young adulthood; and a woman finally found her balance, physically and spiritually. In lucid, dryly humorous prose, she also explores how her disability has affected her choices in living a fulfilling (and amusing) life in every area―relationships, career, religion (or not), athleticism, artistic expression, and aging, to name a few. 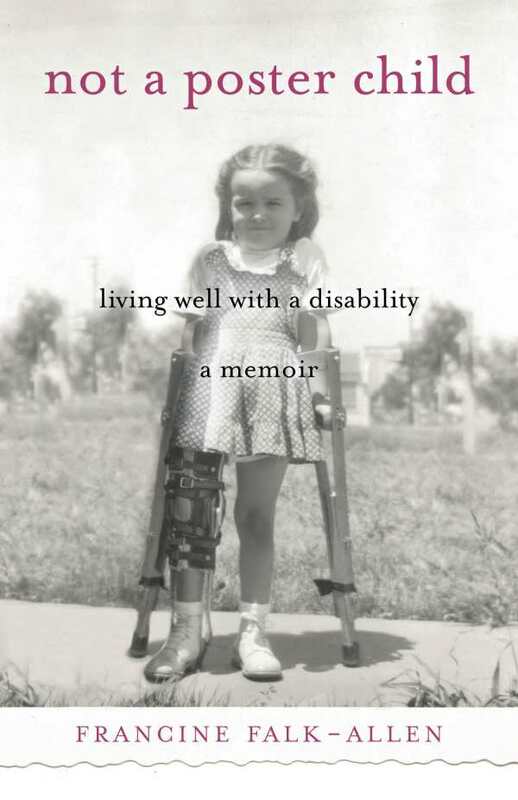 A clear-eyed examination of living with a handicap, Not a Poster Child is one woman’s story of finding her way to a balanced life―one with a little cheekiness and a lot of joy. Francine Falk-Allen was born in Los Angeles and has lived nearly all of her life in northern California. 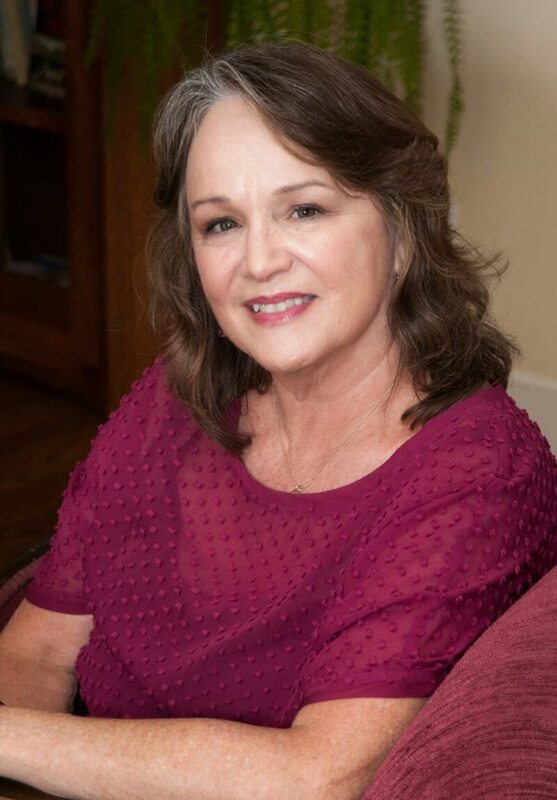 As a former art major who got a BA in managerial accounting and ran her own business for thirty-three years, she has always craved creative outlets. Over the years, this has taken the form of singing and recording with various groups, painting, and writing songs, poetry and essays, some of which have been published. Falk-Allen facilitates a support group, Polio Survivors of Marin County, and also a Meetup writing group, Just Write Marin County. She was the polio representative interviewed in a PBS/Nobel Prize Media film, "The War Against Microbes." She loves gardening, being in the outdoors, many forms of music, swimming, her two cats, Leila and Lucy, British tea, long literary novels, a little champagne now and then, and her husband, Richard Falk. 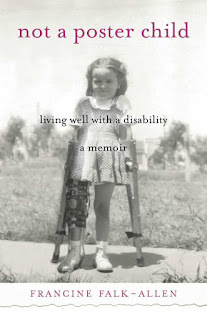 This book is heart-breaking, humorous, but mainly it's inspiring as the author takes us on her journey of life, living with the after affects of contracting polio at the tender age of three. I'm old enough to remember people in my life who were living with the affects of polio. I'm also young enough to be one of the blessed that received the vaccination as a child so polio was never something I ever worried about. I think this memoir is so important to educate people about what it was like before we had some of these medical break-throughs. Francine takes us through her life, from being a small child getting sick and being put into a hospital ward with many other children, without her parents, for six months, to navigating through adulthood. One of the things that make this book extra enjoyable is all the photographs that she includes in her book. I love being able to put a face to a name and seeing all her photos really brings the book alive. She also doesn't hold back in sharing about her life - the highs and the lows. Her dilemmas, at times, of dealing with "her little leg" (as she calls it) and coming to terms with her complex and often difficult relationship with her mother. We are made aware of the more difficult things that people who are disabled have to deal with. However, Francine never gives the impression that we need to feel sorry for her, nor does she want accolades for being brave. I really enjoyed this book and came away having a much deeper understanding of what polio did to those who contracted it and have to deal with the after effects of it. I give it 5 out of 5 stars. *This book was provided to me by Book Sparks. I received a copy of this book to review but I was not financially compensated in any way. The opinions expressed are my own and are based on my observations while reading this book.